It's the start of the week which I no doubt will feel will be long. We've got six days to go until our next match away to Blackpool and this is when the manager will be working his hardest to ensure our title race doesn't completely derail against Ian Holloway's men. Seeing the result from the Manchester City v Sunderland game yesterday, I just wonder what is wrong with this team that they couldn't beat Steve Bruce's side last weekend as comfortably as Roberto Mancini's men did 5-0. Our past two home games have seen us produce two clean sheets, so whilst we weren't at our best defensively against West Brom, we've managed to keep our opponents from scoring at the Grove. So that leads me to question our attacking players who have failed to break the deadlock. Yes, Andrey Arshavin should have had a goal and a penalty awarded against Sunderland but for two poor refereeing decisions. But we've been running out of ideas going forward for quite some time. What has happened to our attacking players during these past few weeks? For all his excellent performances in the early games of the season when he was running the show and taking responsibility for our attacking play, Samir Nasri has yet to come alive in the second half of the season. There was talk of him being player of the season... that's evaporated now. So what has happened to the Frenchman who was so lively? Has he suffered burn out from playing nearly every game during the December to March period where we played every three/four days? Is the fact he's yet to sign a new contract showing his true commitment to the club? There are extenuating circumstances for his performance on Saturday. The clash with Ryan Nelson took him out of the game for a long period. But when was the last time we saw the best from him? I just hope that our attacking form can improve. It will in my eyes win or lose us the league and at the moment I'm yet to be convinced from these group of players they have it in them to win the biggest trophy. Which of these players will we be singing their names once they've left the club to remember back to the days when we won titles and cups? I'm not sure we will. I suppose that question might be posed too early seeing as we've yet to see this team win a pot. And Robin van Persie, speaking to the media after the game is right. We have to stay positive. We still have a chance even if the situation is out of our hands. "It's up to us. Everyone stays positive and speaks to each other and says 'Come on, we've eight games to play for, give it your all.' We will do that." We've got to hope Manchester United slip up three times and that's not impossible. They've still got Chelsea (H) and us (A) to play along with Fulham (H), Everton (H), Blackburn (A), Blackpool (H) and Newcastle (A). However what is important is that we win our next game. Without three points we will be stuttering towards the end of the season. I don't think it's time to be questioning the future of any of the players or the manager. It's not healthy for those questions to be asked when we are still mathematically in the title race. The manager still has my backing. I don't want him to leave the club but I'm not sure how much longer other Gooners will give him to produce a team capable of winning trophies. To those who wish Arsene Wenger gone... be careful. Some clubs have won the league once (1961) and probably will never again. Whilst Liverpool supporters are still waiting for their chance to win their 19th league title, the last of which was won the first time 1989/90. Winning is not a right, but at least we've got a man at our helm who has been there and done it. 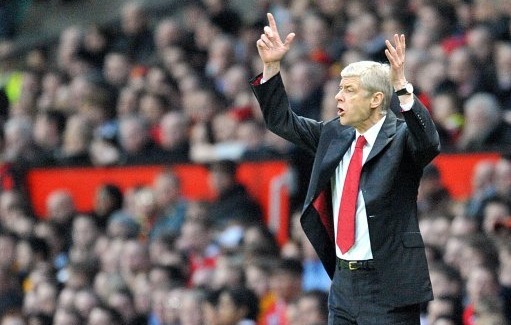 This week Arsene Wenger will have to use that knowledge to turn The Arsenal around. I really hope he can do it.